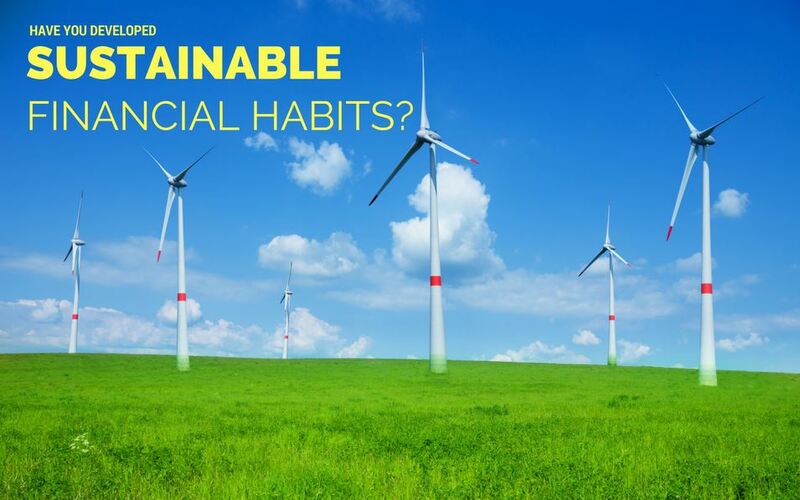 Take a Hard Look at Your Financial Habits -- Are They Sustainable? Take a Hard Look at Your Financial Habits — Are They Sustainable? Sustainability has become a key concept in environmental and resource management circles. Of course, it’s also a good goal for your own financial practices. I’m sure it once seemed as if the world contained an endless reservoir of oil. By the end of the 20th century, though, it was clear that we were wrong. Some basic concepts were recognized: when people draw on a resource faster than it can be replenished, eventually shortages will occur. Similarly, there are some common financial practices that may seem harmless from week-to-week, but will back you into a troublesome corner over the long haul. The test for your personal finances, then, is whether or not your habits are sustainable. If you project those habits out into the future, do they result in the building of your wealth… or lead you closer toward bankruptcy? 1. Is your debt level rising or falling? Controlling debt isn’t simply a matter of paying minimum monthly payments, or avoiding your maximum credit limits. If your debt is rising month to month, it is only a matter of time before it becomes unaffordable and/or no one will extend you additional credit. Sure, there are times when it is necessary to take on debt. For the most part, though, a fundamental goal of personal financial management should be to pay off any debt that isn’t backed by an asset of equal or greater value. 2. What will happen to your monthly payments if interest rates increase? 3. Have you stabilized your housing costs? Credit card rates aren’t the only form of interest that can rise. From 2007 to 2012, mortgage rates dropped by over 3 percent before starting to rise again in 2013. They have been heading upward ever since and show no signs of stopping. If you haven’t locked into a fixed-rate mortgage by now, you should do it soon. Also, if you face a balloon mortgage payment, do you have a realistic plan for meeting it? Finally, renters should realize that they also face the risk of fast-rising housing costs, which should be a factor in any rent-versus-own decision. 4. What kind of shape is your car in? Cars are not only expensive, but for many people they are indispensable. Living in a metropolitan area gives you the option of utilizing public transport. For everyone else, though, getting kids to and from school, traveling to work, and running basic errands requires a personal vehicle. If yours is somewhat the worse for wear and tear, you had better start planning on how you will afford a replacement. 5. How secure is your job? The economy in recent years has been slowly improving, but we’ve still seen the elimination of large parts of the workforce in various industries… many of which once paid very well. Never take your job for granted. Always keep tabs on what is happening in your industry, and make sure you keep your skills marketable. Having a flexible career plan in place is also very helpful in case an unexpected or unconventional switch is necessary. 6. How close to the edge is your budget? Between spreadsheets and budgeting tools, people can track their money with a great degree of precision. This has the unfortunate effect of leading them to believe it’s an exact science. It isn’t. A variety of unexpected setbacks can await, so a good budget isn’t one that is planned down to the last cent. The best budget is one that leaves plenty of cushion for the unexpected. 7. What will happen to your income when you retire? Retirement isn’t some sort of finish line for personal financial planning. In fact, it is the phase when sustainability becomes most important because your future earning ability is limited. 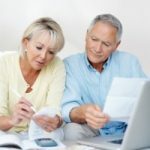 Retirement planning should include figuring out what kind of income you’ll need in order to meet inflation-adjusted expenses and how long you can expect to sustain that income. 8. Are you burning up your assets? One risk that is common in both retirement also occurs pre-retirement for many folks: the risk of burning through assets to meet short-term expenses. 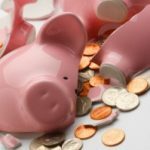 If you are relying on past savings or any sort of windfall to meet regular expenses, you need to figure out how long you can continue at your current burn rate. This can be subtle, too. For example, people who take a home-equity loan to make ends meet have just diminished a very important asset. And they did so to cover expenses that may very well outlast that asset. Try to figure out as many other strategies as possible (cutting expenses, saving more money, bringing in extra cash with a side hustle, etc.) before making your way through your assets. As with energy and environmental policies, sustainability in financial habits can be tough to attain after years of damaging practices. However, the starting point is to put yourself on a course leading toward sustainability, even if it’s a slow process at first. If you are not at least heading in that direction, you are heading for trouble. I agree , controlling debt is very necessary . If debt is increasing every month than we will be highly indebted . We will face drastic financial crises . I present era , we cant be sure about the security of our job.